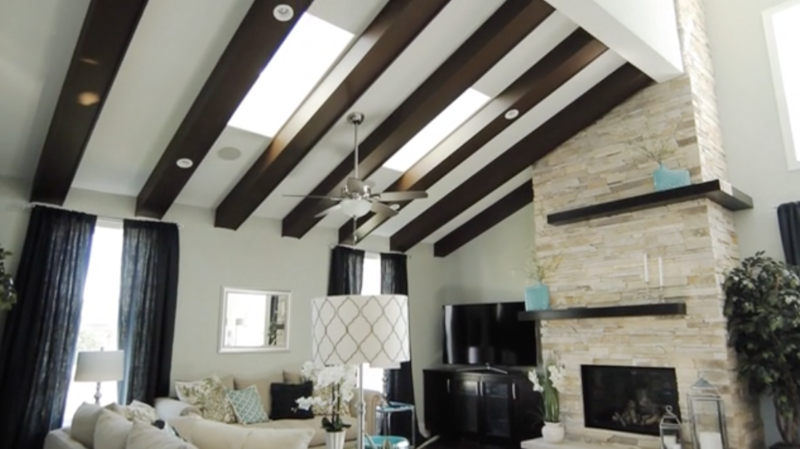 Go two-tone by painting exposed beams a contrasting color. 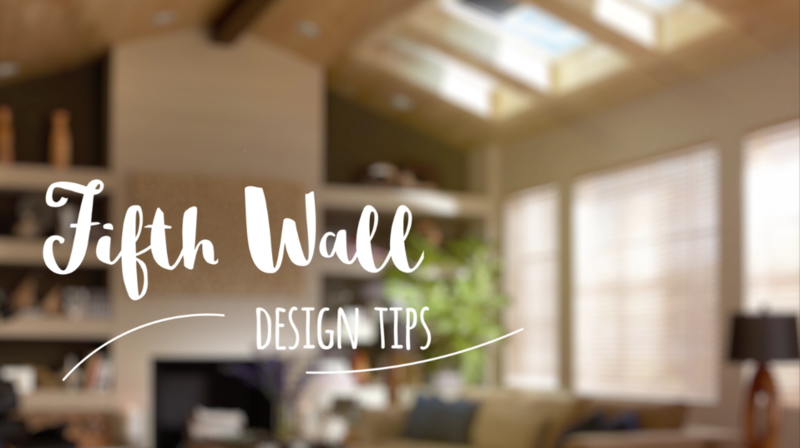 Shed some light on exposed beams. 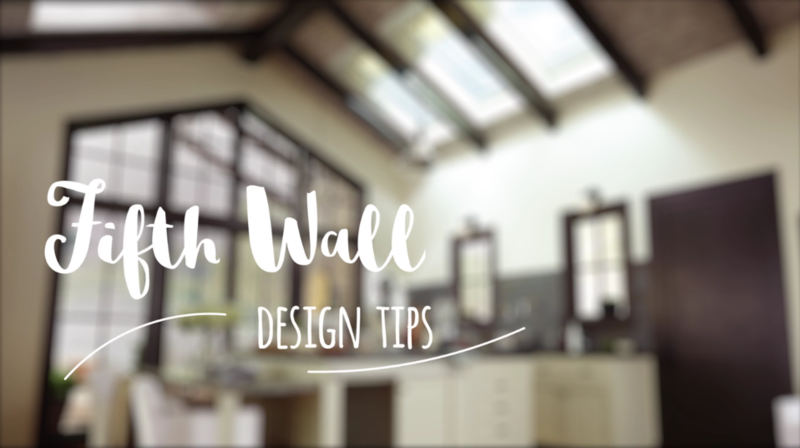 Try paint, wallpaper or, if you have skylights, designer blinds. 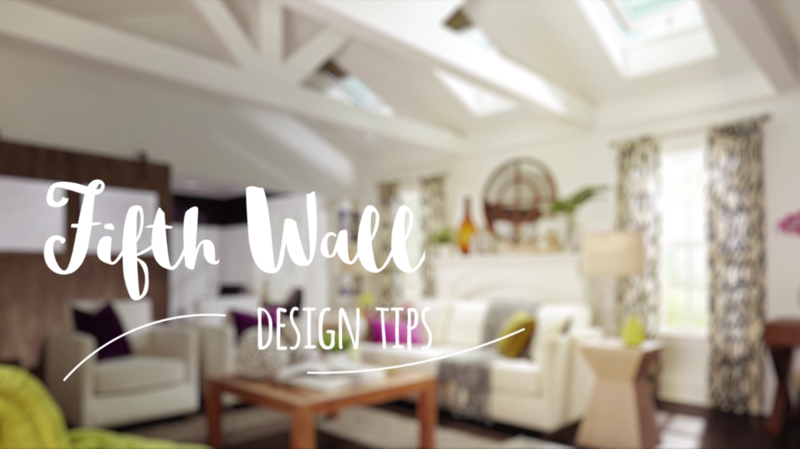 Make tonal decor even more soothing with natural light from skylights. 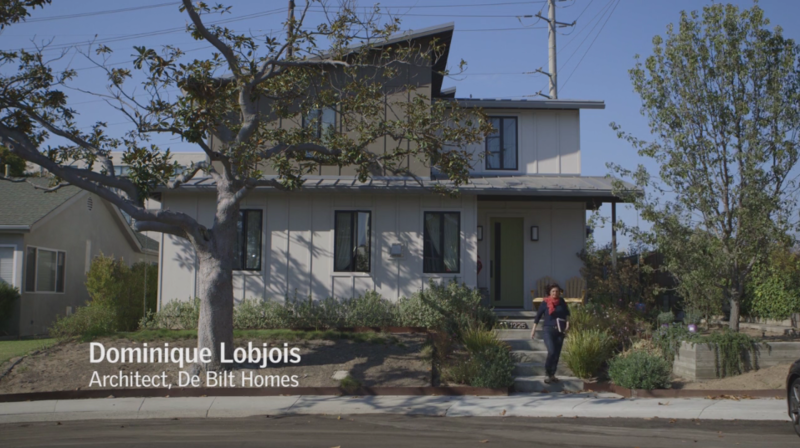 Learn how architect Dominique Lobjois uses skylights in creative ways to add more light and ventilation. 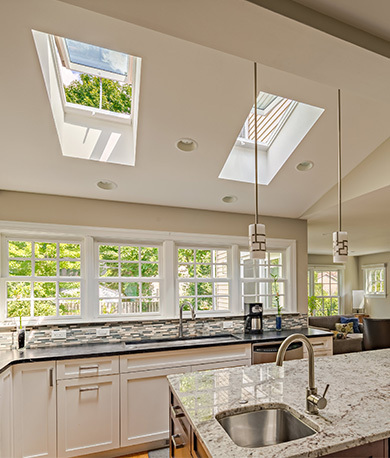 A small Colonial-style home is transformed with a renovation that uses skylights to bring natural light into the kitchen and living room. 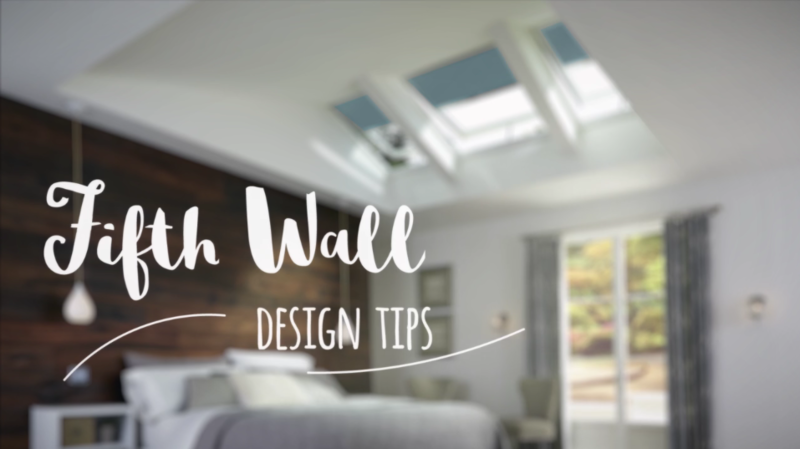 Skylights are a great solution for north-facing rooms, which often suffer from low light. 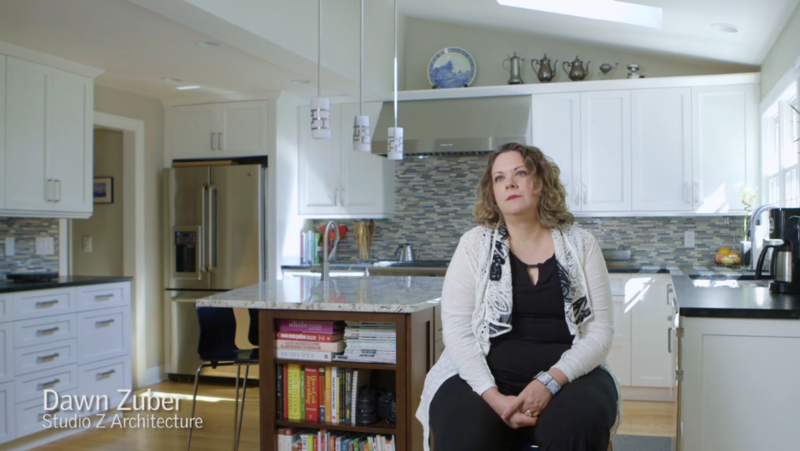 Learn how this home uses the chimney effect to draw in fresh air through the lower skylights and release warm, stale air from the upper skylights—an energy efficient way to cool the home. Open up to the sky. 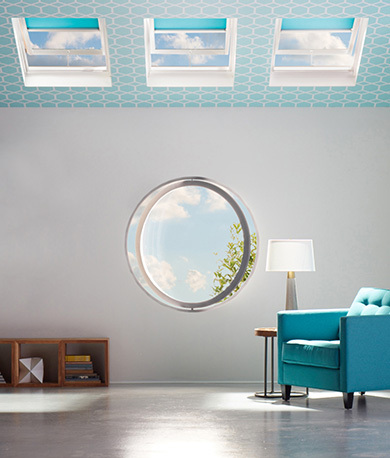 Keep it lively with a geometric pattern on the ceiling.